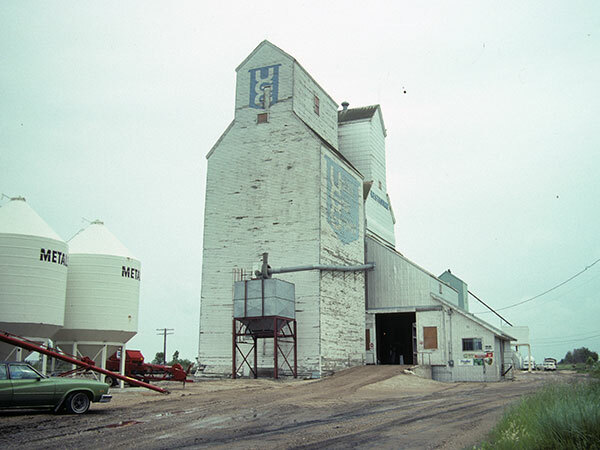 A wooden grain elevator in Westbourne, on the CPR Minnedosa Subdivision in what is now the Municipality of WestLake-Gladstone, was operated by United Grain Growers. It was demolished sometime in the 1990s. Source: Historic Resources Branch, Grain Elevator Inventory, slide 2007. 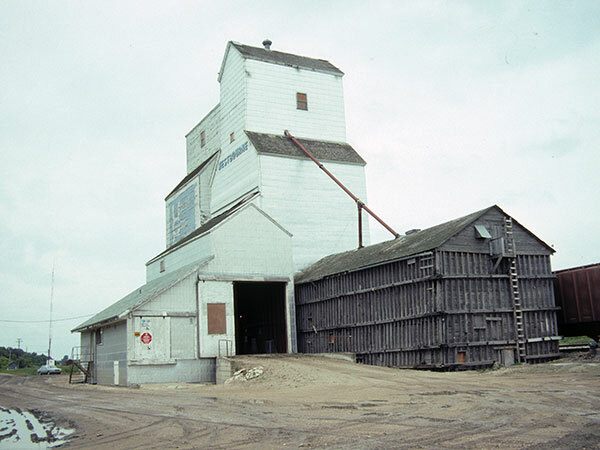 Source: Historic Resources Branch, Grain Elevator Inventory, slide 2006. Obituary [George Alexander Angus], Winnipeg Free Press, 26 March 2008, page 31. We thank Ian Angus for providing additional information used here.